Reinforcing that agriculture is key to achieving the Sustainable Development Goals, FAO is highlighting how engaging all sectors and adopting an integrated approach on agriculture, poverty, food security and malnutrition is an effective way to help rural people earn more stable and livable incomes, have greater access to food and improve the quality of their diets. In September 2016, FAO held a regional workshop in Africa to review and share its work on sustainable food and agriculture. 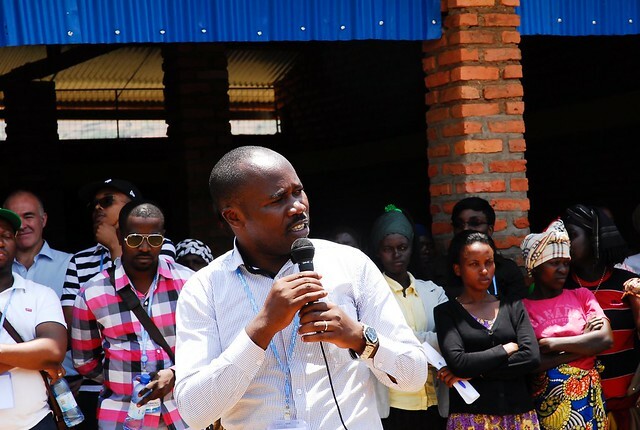 The workshop included a field visit to the district of Rulindo. Serving as a model for this comprehensive approach, Rulindo is demonstrating how integrating projects across four focus areas (sustainable agricultural intensification, value chain development, poverty reduction and nutrition) can build upon one another and produce longer-term results. The Rulindo district of Rwanda, the land of a thousand hills, is a model for a more integrated way of supporting local development and sustainable intensification of agriculture.